Behold, the chariot of the McFly clan. If Doc Brown had to design a time travelin' auto that could (comfortably?) seat six instead of two, we'd probably end up with the Honda Skydeck up above. 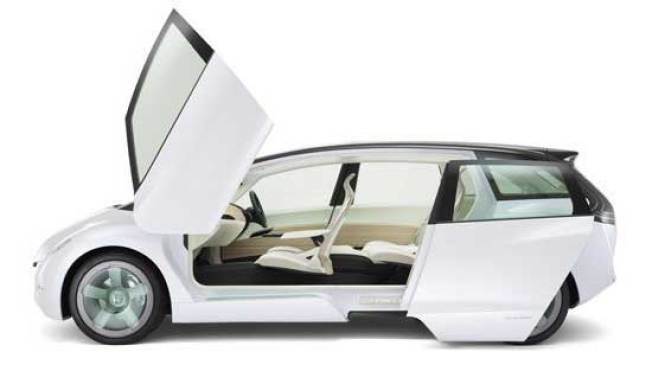 While the Skydeck trades sleek curves for the DeLorean's boxy bulk, it has the same gull-wing doors up front, with sliding doors in the back. It's just a concept at the moment — one that Honda is showing off in its native Japan. It's pretty, for sure, but we're glad that McFly was too young for a minivan. Check out more of the Skydeck in Dvice's gallery.